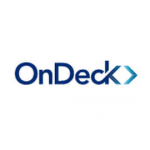 OnDeck deals in small business loans with term loans going up to 500k and lines of credit up to 100k. The application takes a couple of minutes and the cash is available in 24 hours. 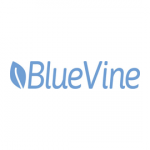 Launched in 2013, BlueVine introduced a web-based factoring platform, revolutionizing the world of factoring in general and allowing small business owners and truckers to get quick access to cash. 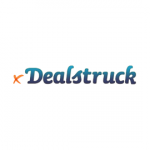 Dealstruck offers business loans up to 350k and lines of credit up to 500k. They feature a variety of different options and their team will help you find the best solution for your needs. Here, we’ll disclose our criteria of choice when it comes to choosing the best bad credit small business loan for your needs. Fees are your number one concern when it comes to these loans. Reputable lenders will keep things realistic, but they’ll still be pretty expensive. Approximate APR will range from 30% up to 80%, which is astronomical, but that’s the price of having a bad credit score. Requirements determine whether you’re eligible for a bad credit loan for your business or not. The best lenders out there will understand that there’s more to your business than your credit score, something a regular bank would never do. Two of the most important factors here are your time in business and your revenue. The funding amount will help you identify the best possible lender for your particular predicament. Funding amounts can range from 500$ up to 500,000$and they’re usually measured as a percentage of your annual revenues or monthly credit/debit card sales volume. The funding speed can be a crucial factor if your small business is hanging on by a thread. Online lenders are much more appealing in this regard since their approval periods seem like nothing when compared to regular banks. Their initial approval can arrive within 10 minutes in some cases, followed by the full funding within 1-5 days. Repayment terms are something you’ll need to understand to the tiniest detail. You’ll have to know how the payments add up and how long your actual repayment term is. The terms of these loans range from 3 months to infinite. Additionally, you’ll have to be aware of your repayment cycle. Depending on the lender in question, you’ll have to make payments weekly or even daily.